A native Mercedian, Julie graduated from Merced College of Nursing. She was Charge Nurse on the Telemetry Unit at Merced Medical Center for 10 years, and currently works as a staff nurse and Relief Charge Nurse in the Intensive Care Unit. Julie has assisted Dr. Mani Nallasivan for over 8 years as a Senior Research Coordinator. Dr. Nallasivan and Julie have conducted comprehensive cardiovascular clinical research trials focused on studying innovative treatments and therapies for patients suffering from various diseases from atrial fibrillation, congestive heart failure to hypertension. 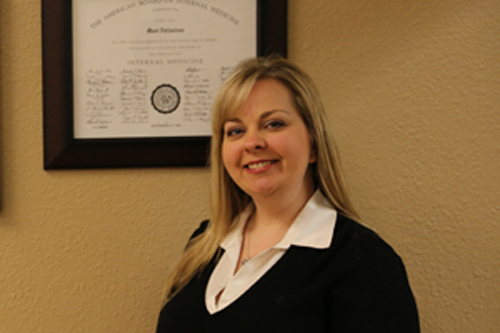 With over 16 years of direct patient care experience, Julie’s extensive training ensures that you are in good hands during your visit at Merced Vein & Vascular Center.